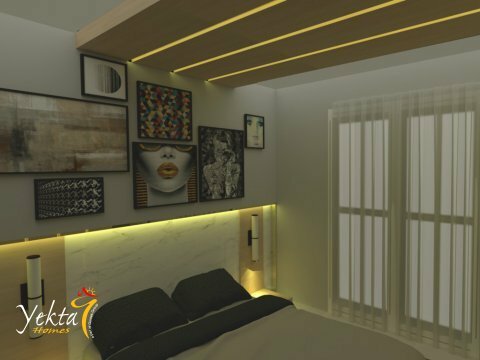 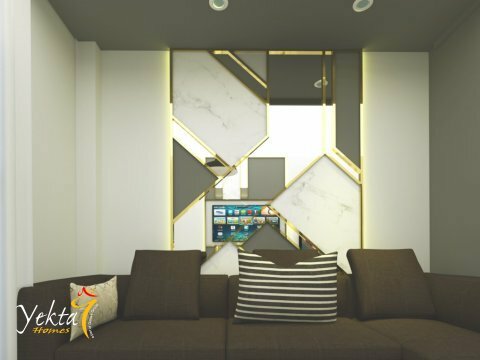 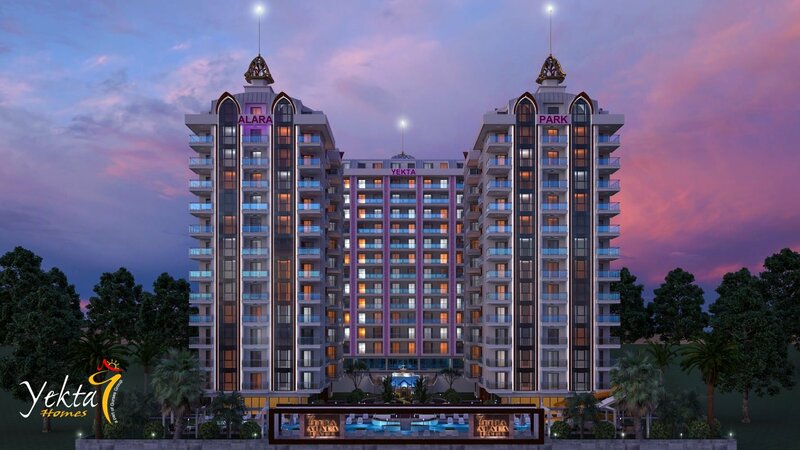 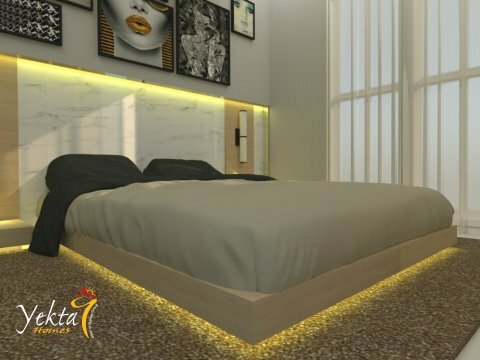 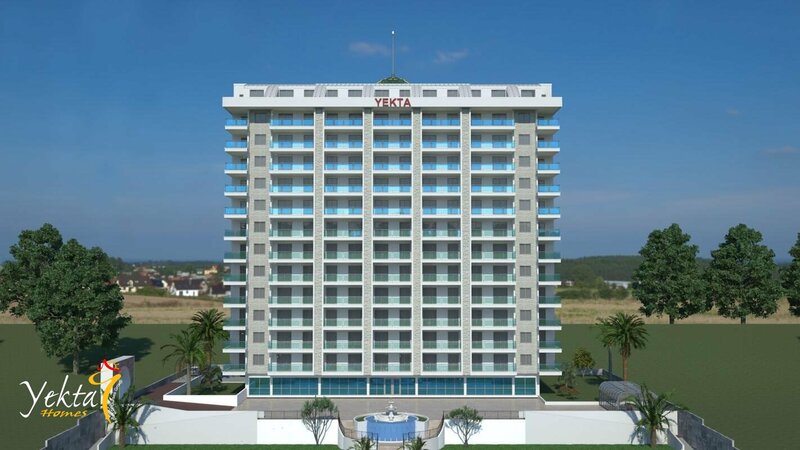 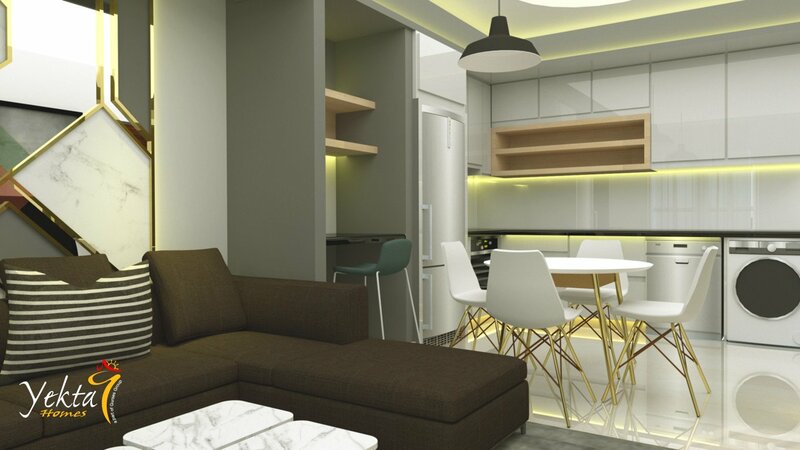 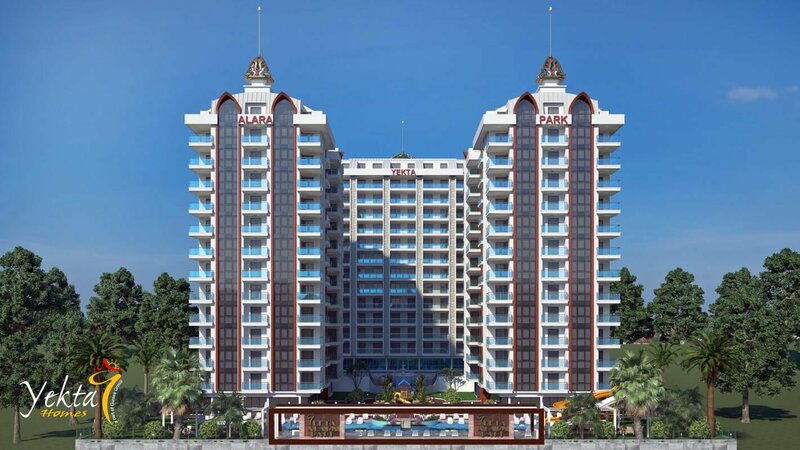 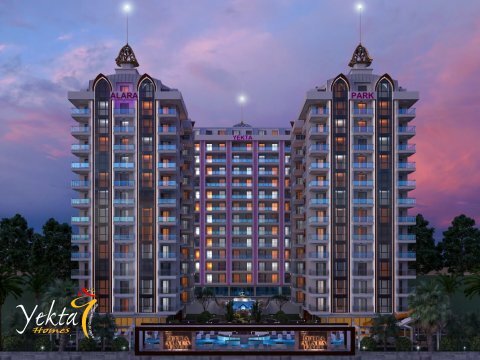 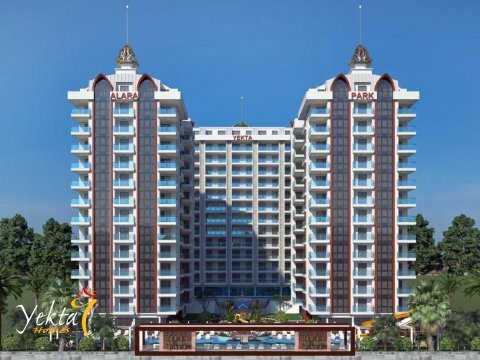 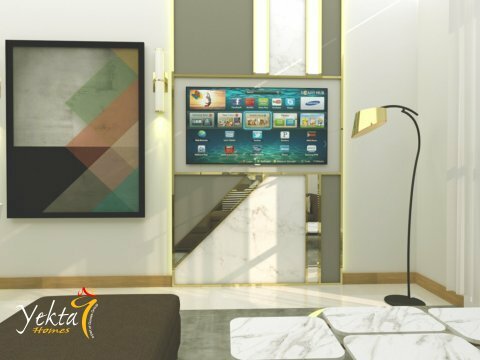 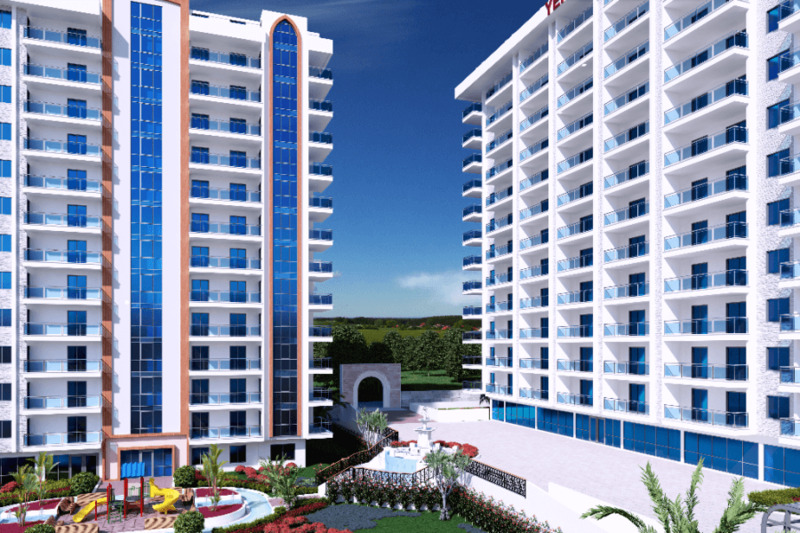 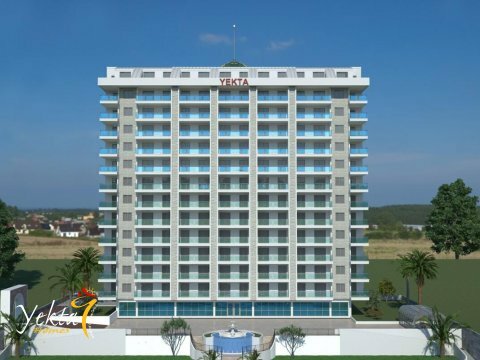 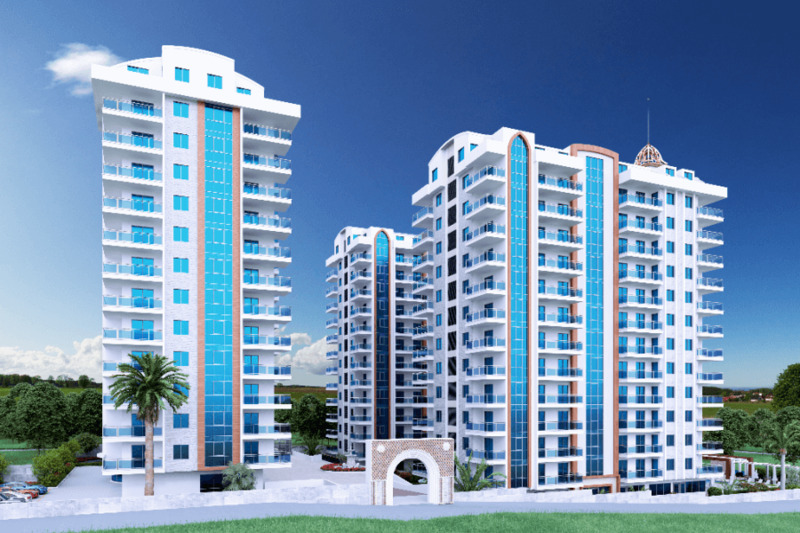 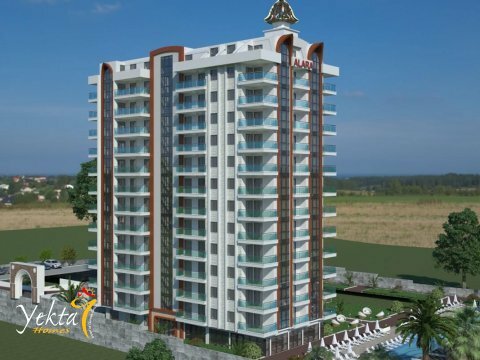 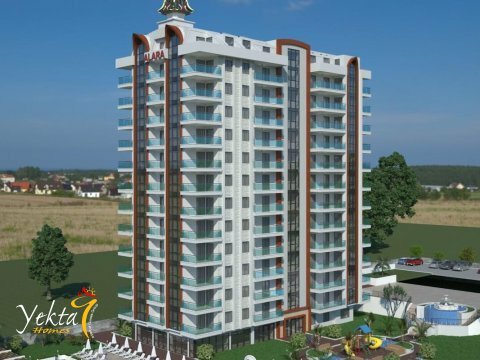 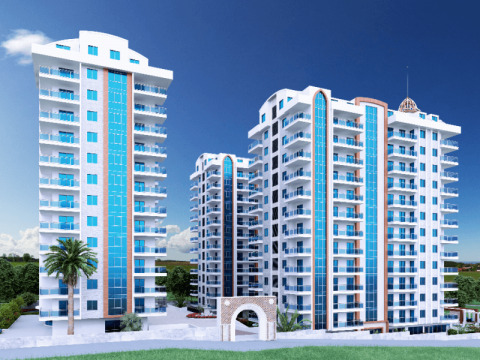 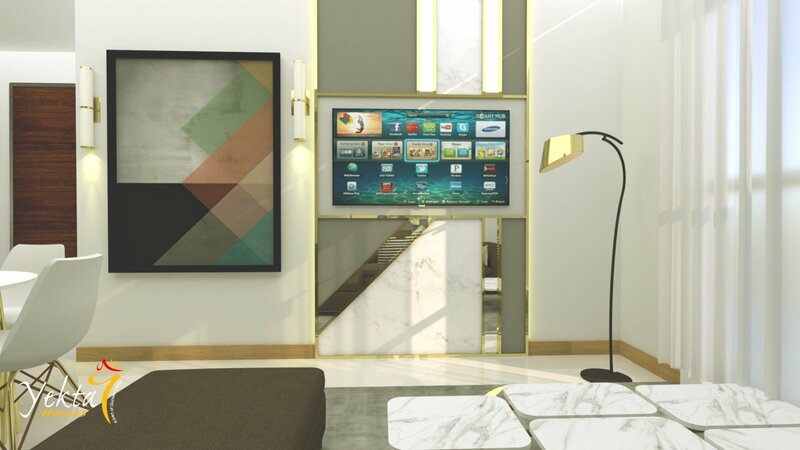 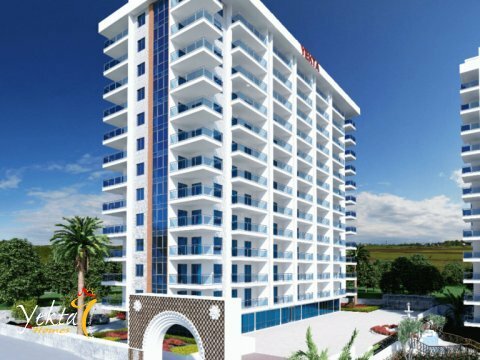 Introducing the newest level of luxury and lifestyle – Yekta Alara Park. 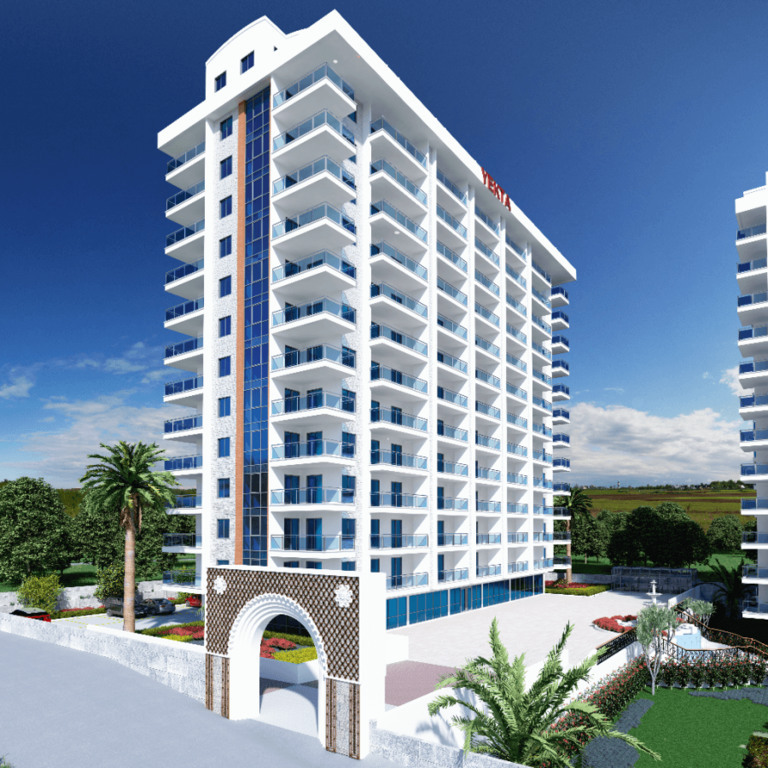 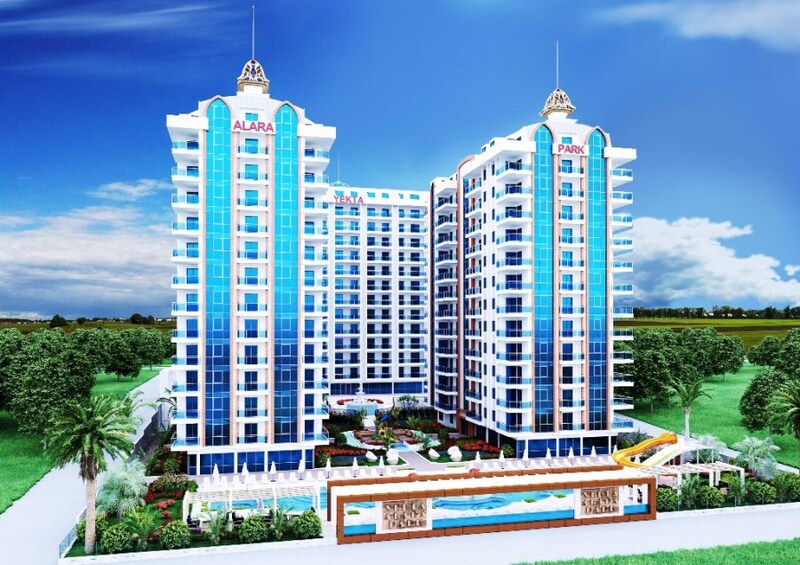 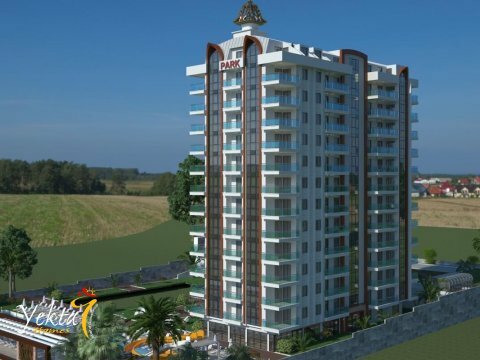 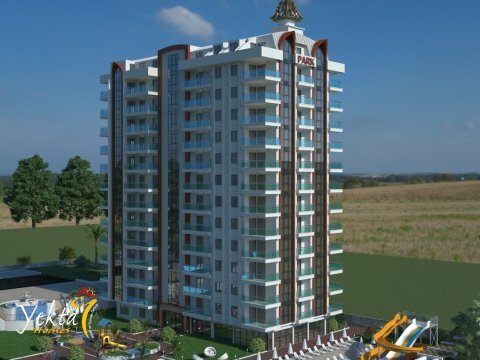 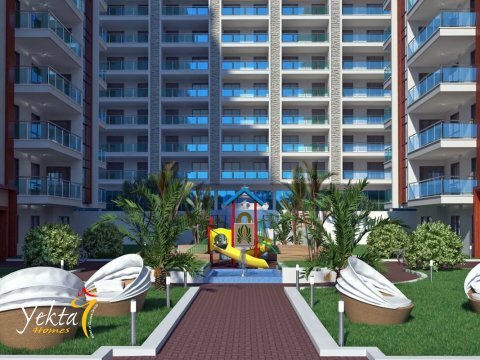 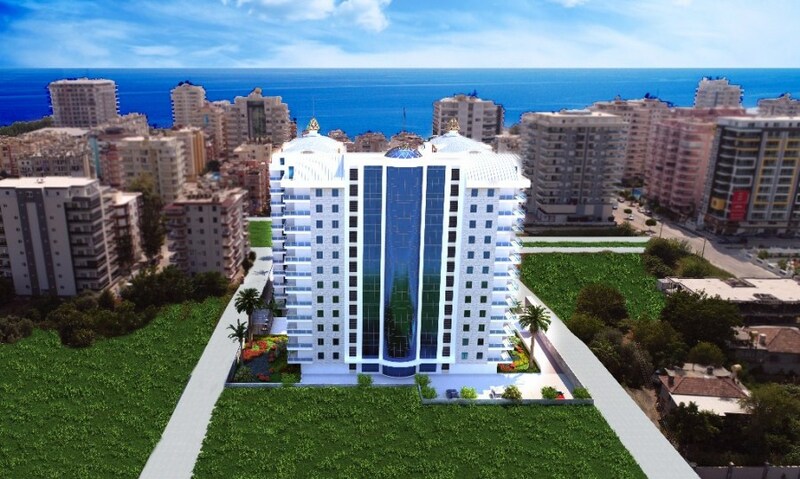 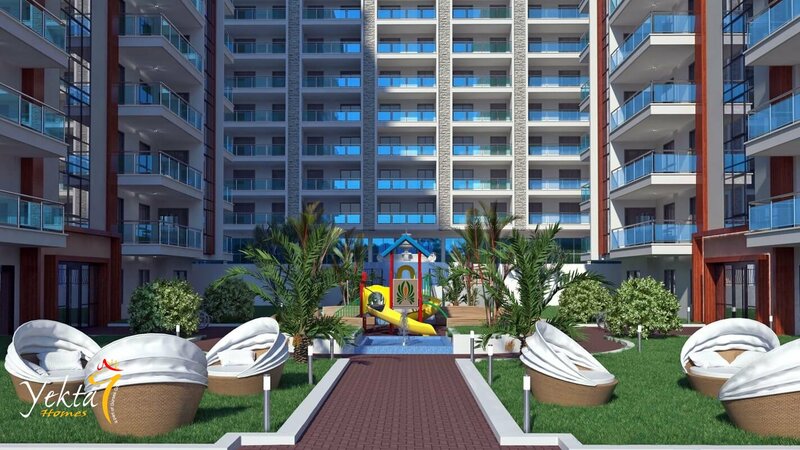 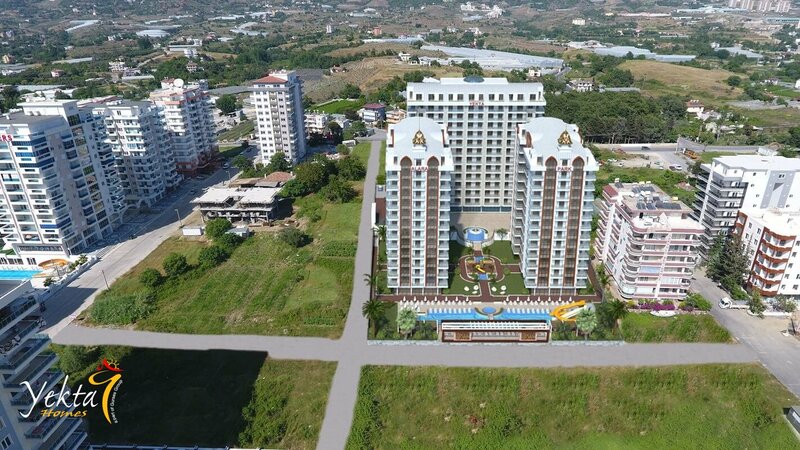 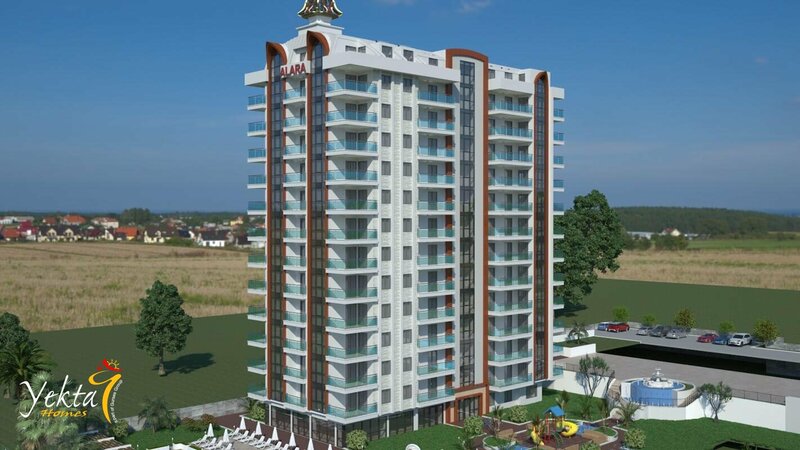 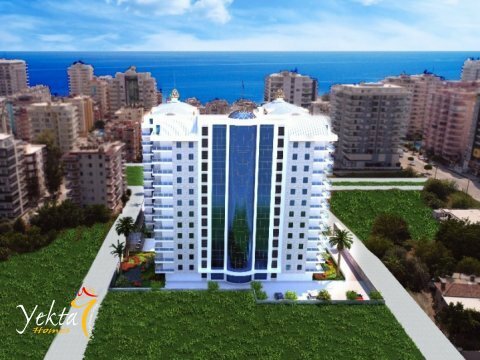 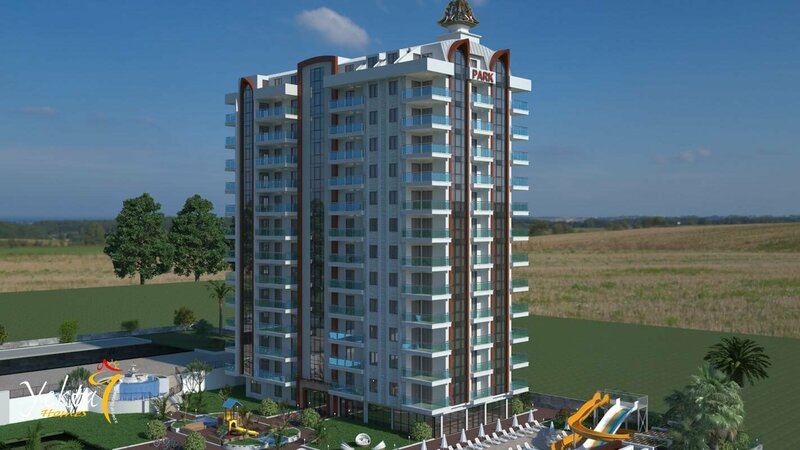 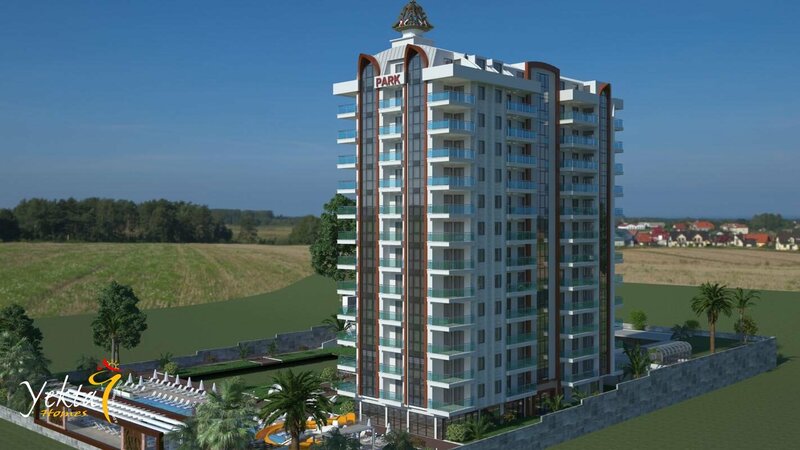 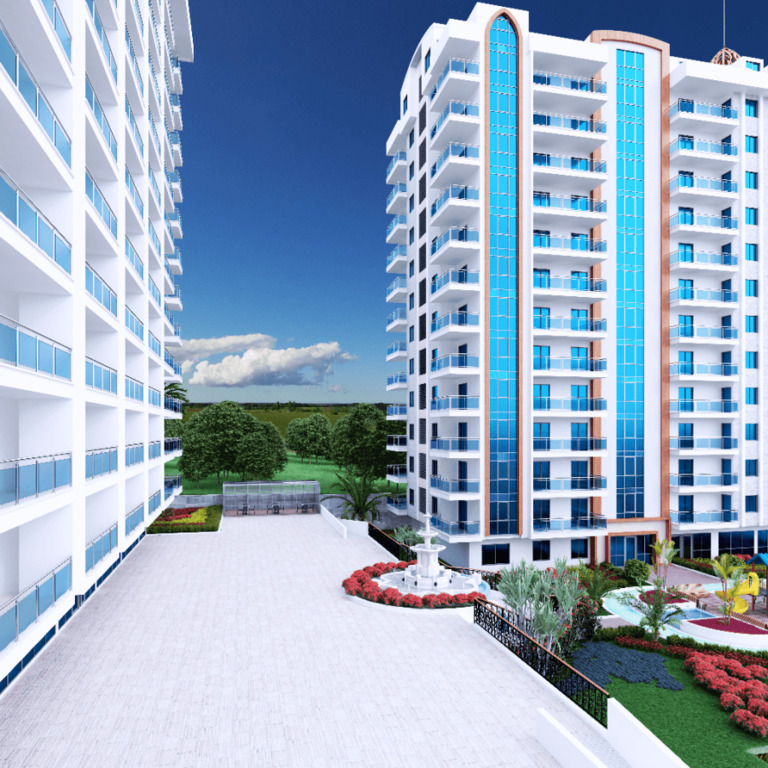 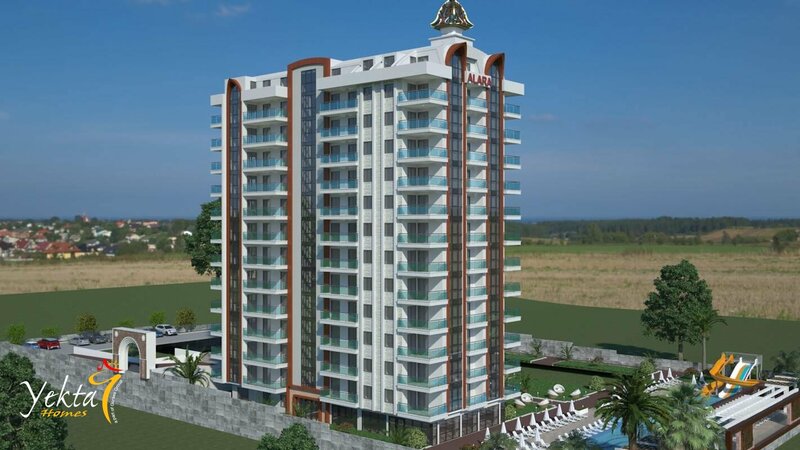 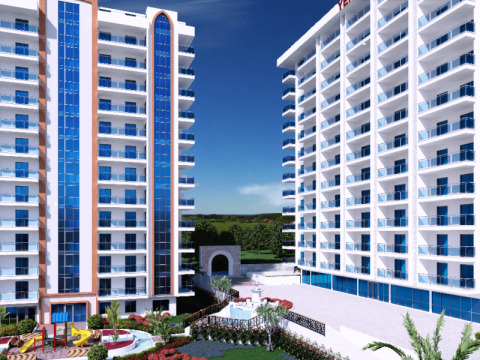 Our latest project to be built in a gated community in Mahmutlar district of Alanya. 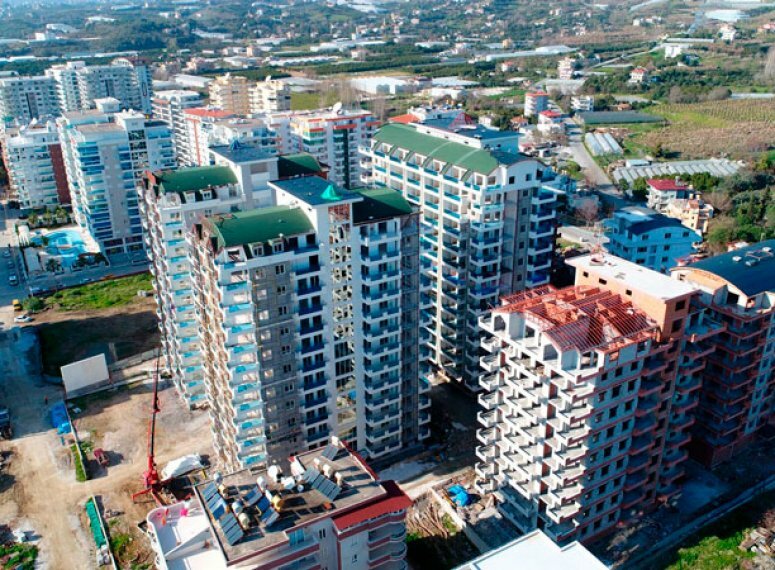 This is more than a place to live. 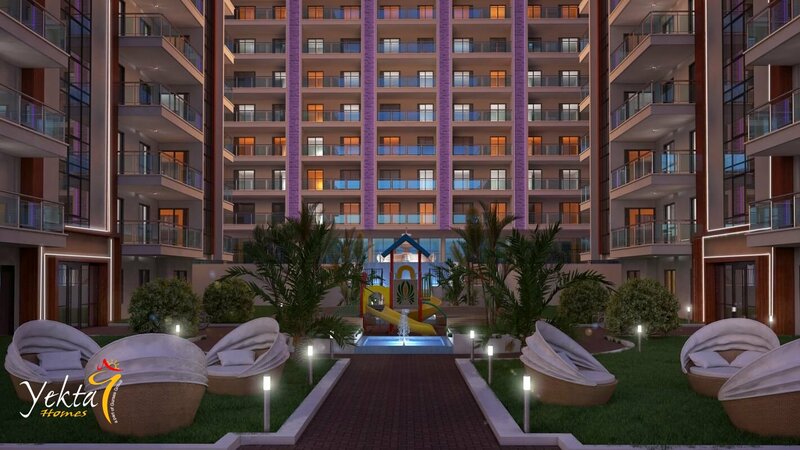 It’s a milestone. 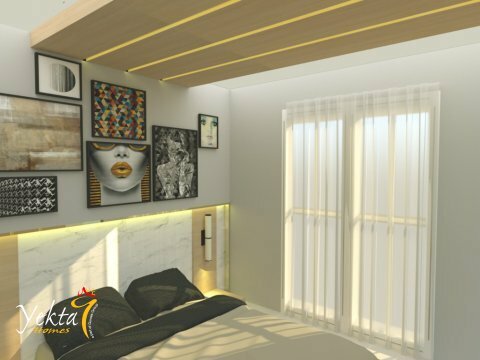 An achievement. 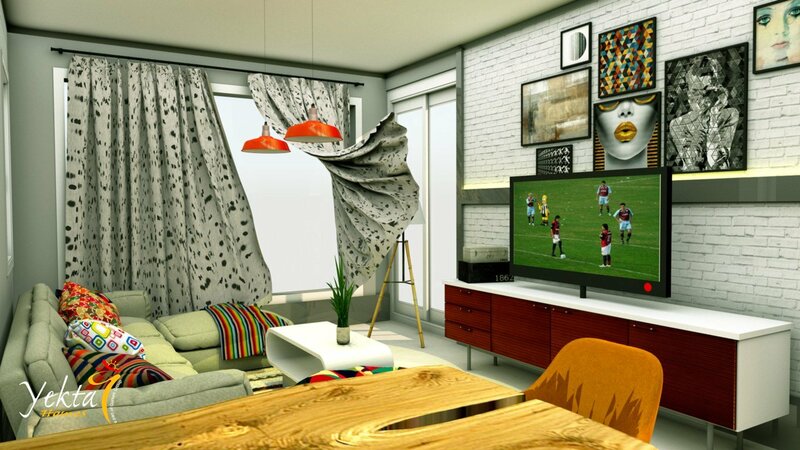 A well-deserved reward for a lifetime of hard work. 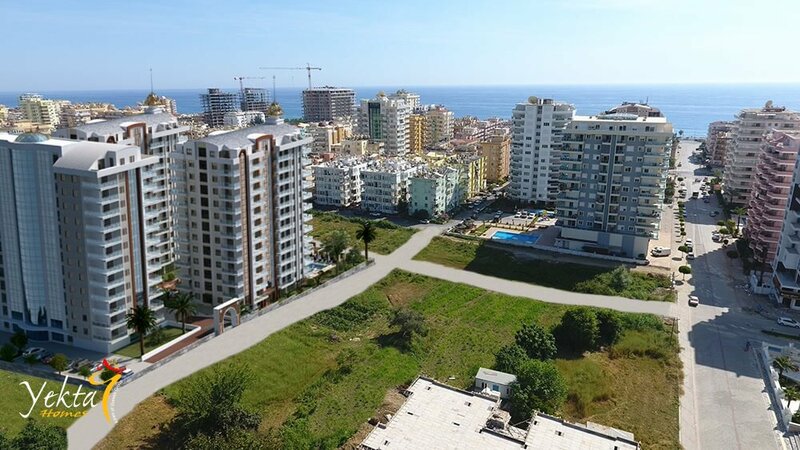 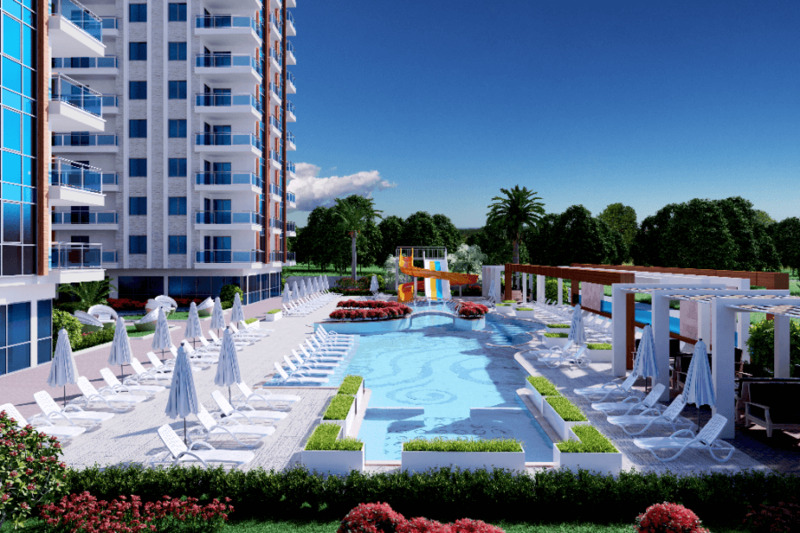 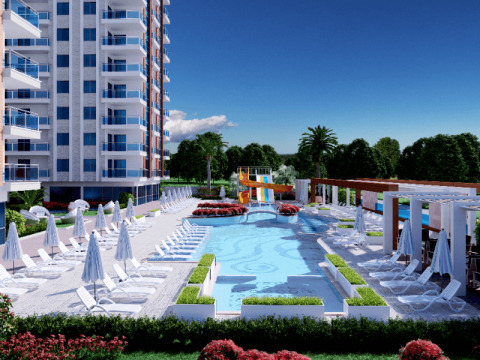 Ideally situated between the blue Mediterranean and the majestic Taurus Mountains, Yekta Alara Park offers access to the active town of Mahmutlar, and the vibrant nightlife of Alanya. 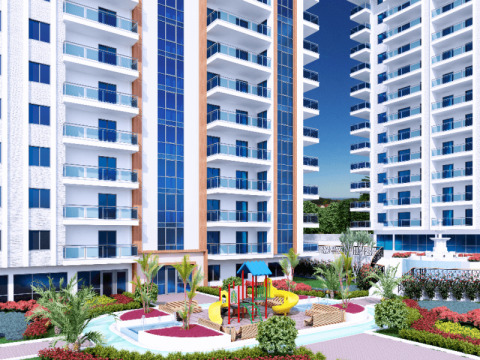 As well as the natural beauty of the surroundings. 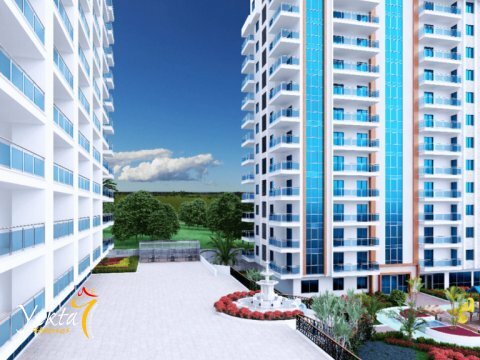 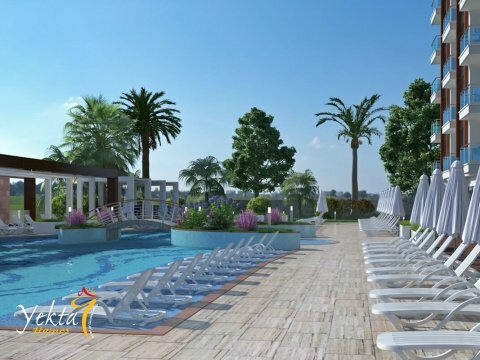 Yekta Alara Park caters to both active and leisurely lifestyles. 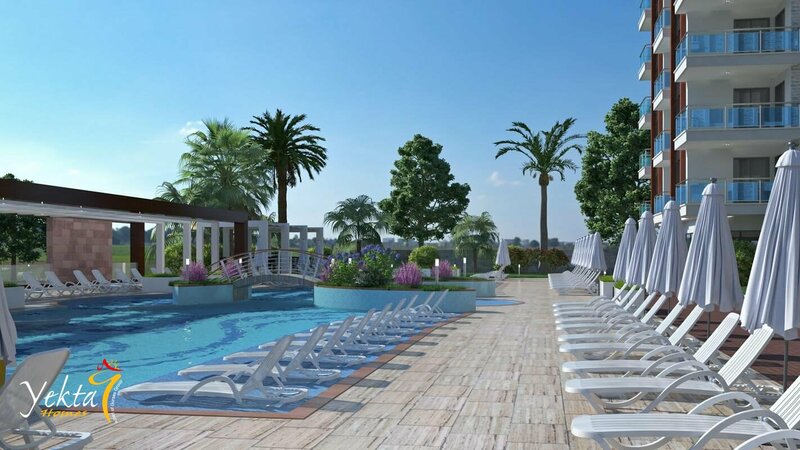 With premier amenities on site, stunning natural surroundings and nearby activity- and tourist attractions, the opportunities for residents to pursue their unique passions are endless. 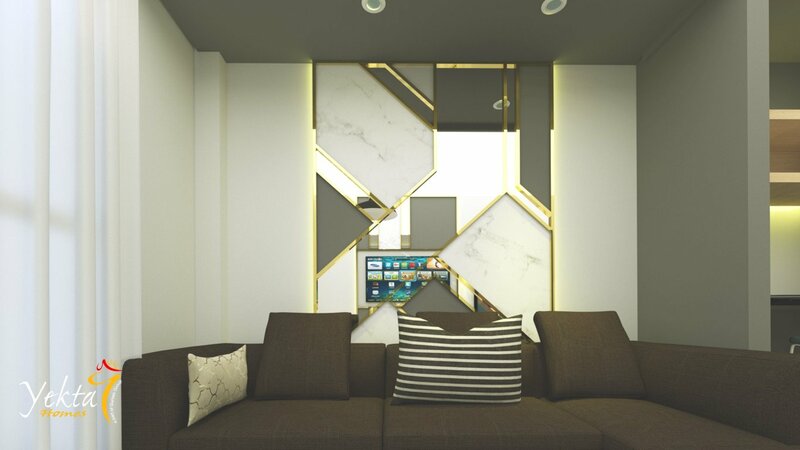 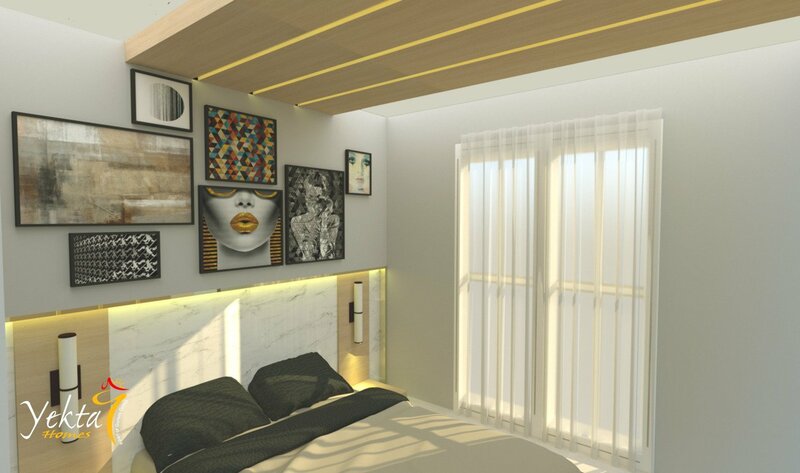 The use of materials of the last generation, complying with all the regulations in force, and a design according to the new trends in decoration, based on straight lines where white blends with harmonious light tones to create comfortable rooms full of light. 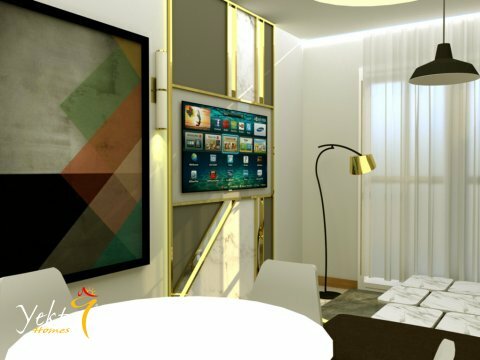 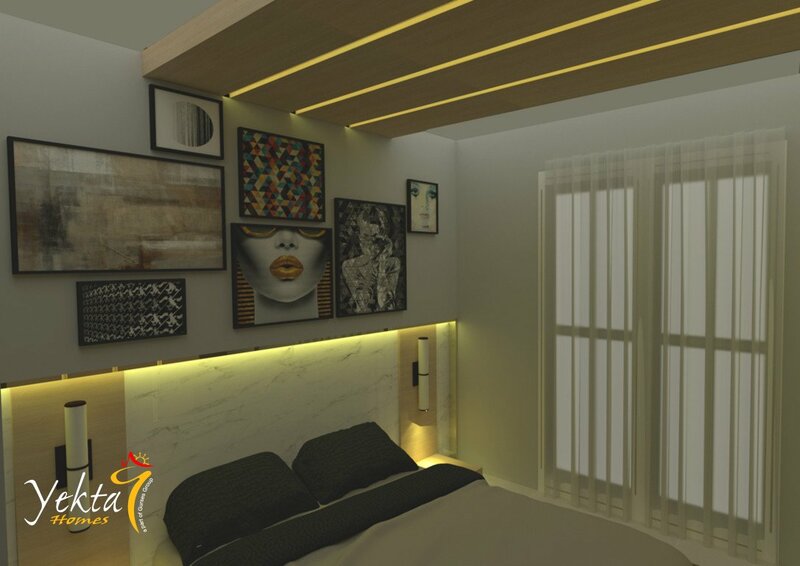 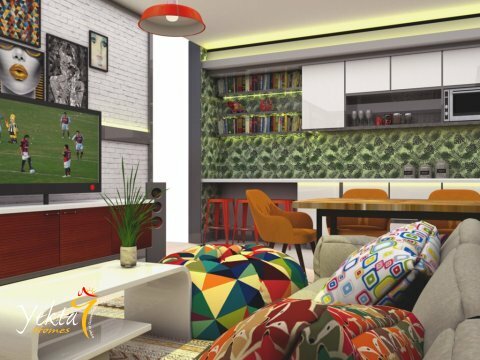 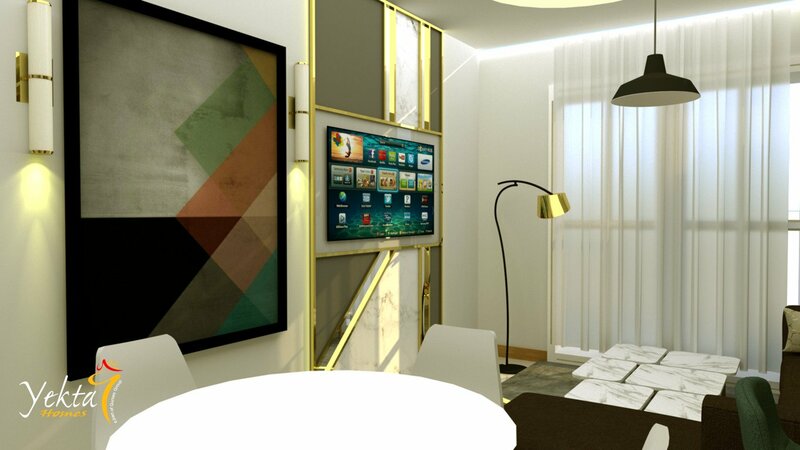 The development’s common areas have been designed with residents’ comfort and enjoyment in mind. 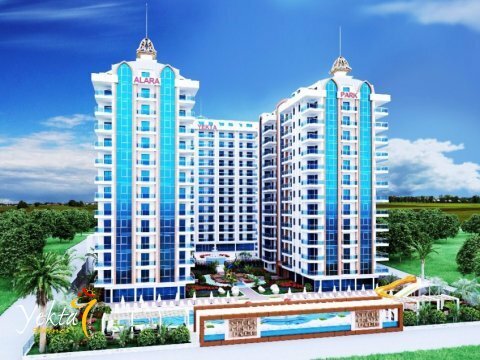 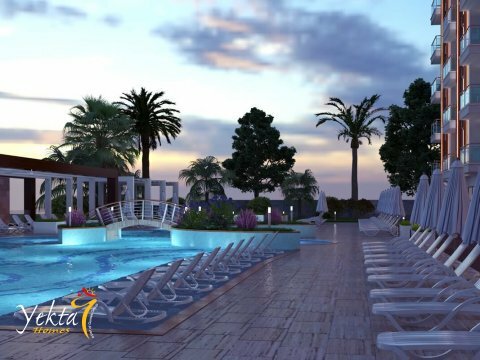 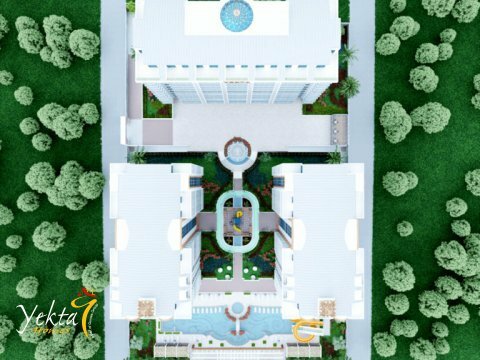 Yekta Alara Park will offer its residents gardens and amenities well beyond their expectations, including a multi-use pool with Jacuzzi, children’s pool, waterslides, heated indoor pool, gym area, SPA area with Turkish bath, sauna and steam room, massage rooms, relaxing room, games room area and barbecue & ‘chill’ area. 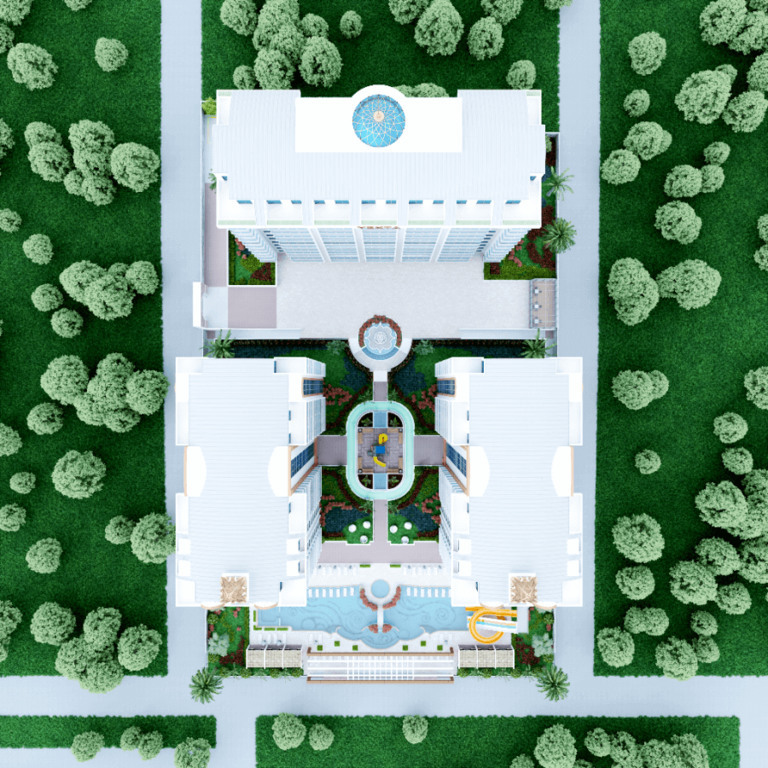 Elegant tropical landscaped areas, sidewalks, beautiful lighting and open green spaces for outdoor enjoyment will truly make this community unique. 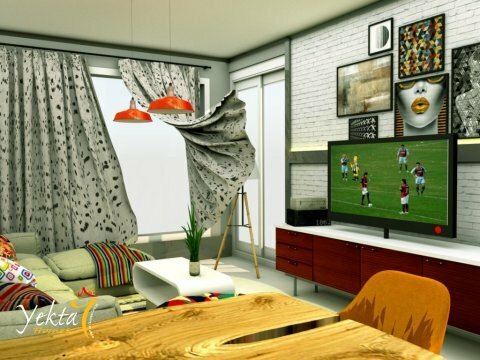 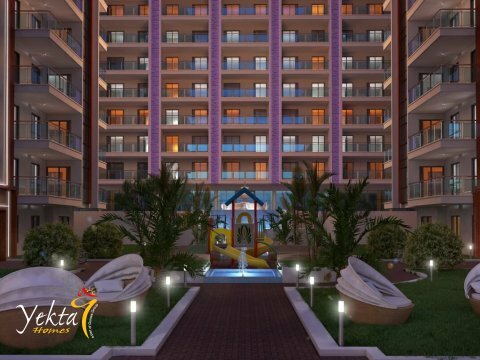 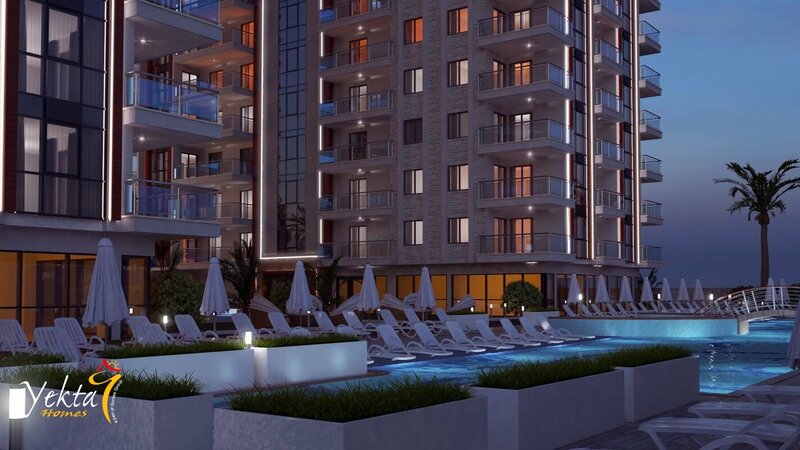 Yekta Alara Park is outfitted with many luxury amenities for every lifestyle. 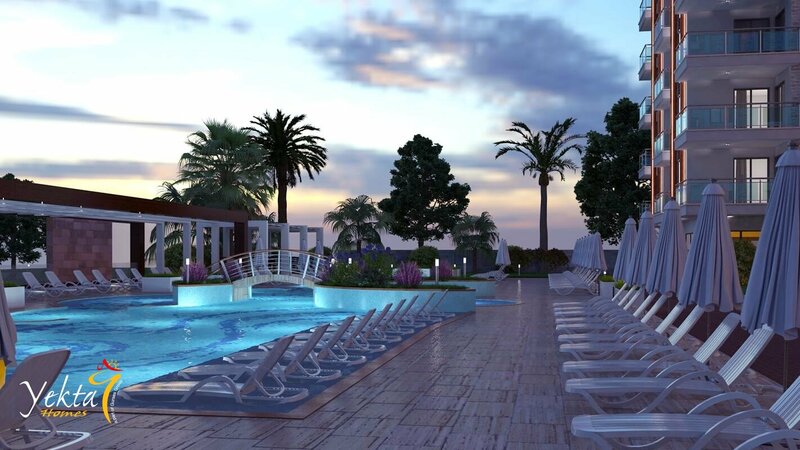 Take a dip, take a spin or simply take it all in. 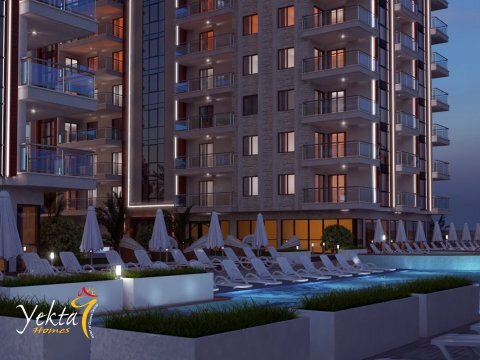 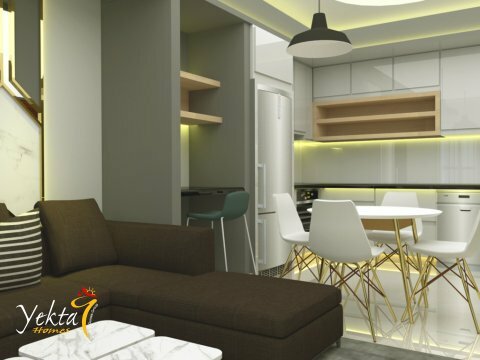 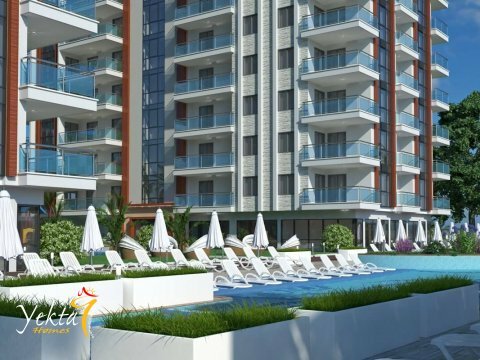 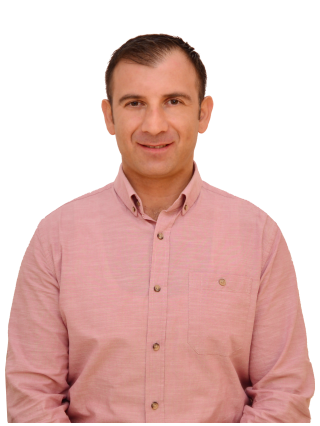 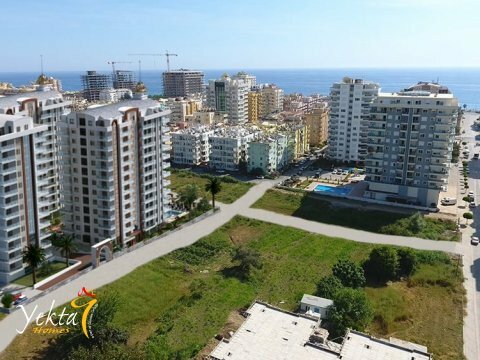 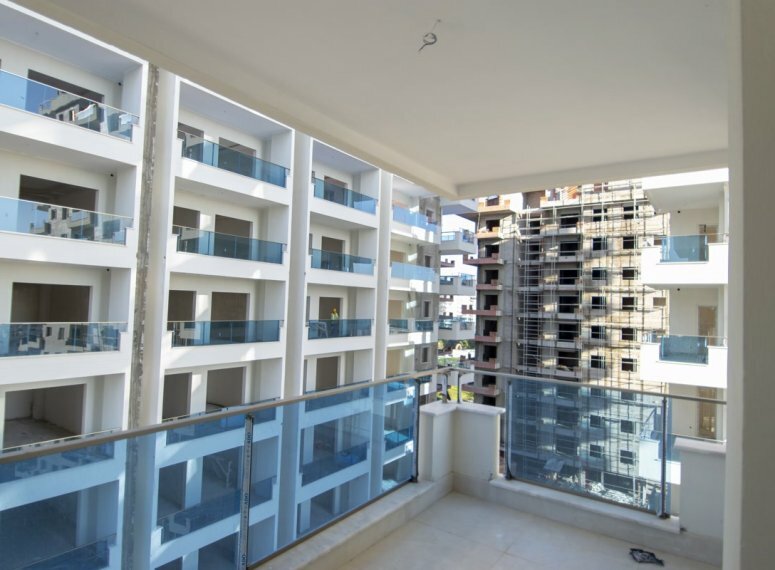 Yekta Alara Park consists of 3 buildings and offers a mix of 204 1-5 bed apartments, and you can choose from an apartment or top floor penthouse. 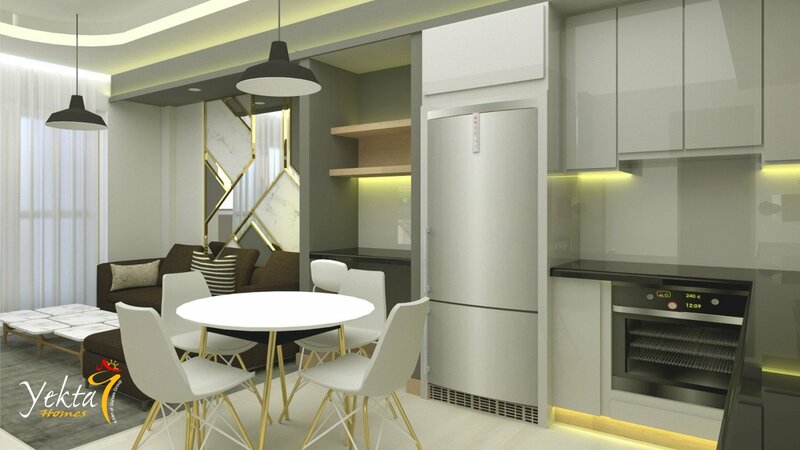 Contemporary in design and timeless in style, these modern homes are ideal for seniors and small families alike. 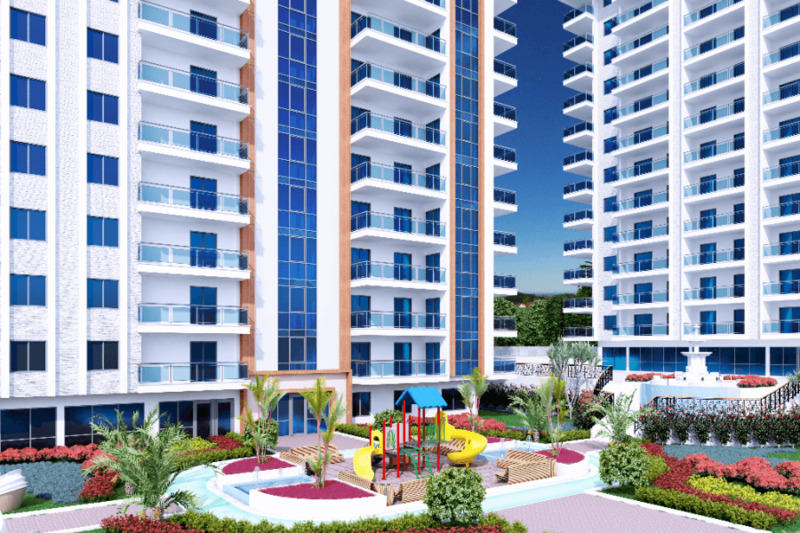 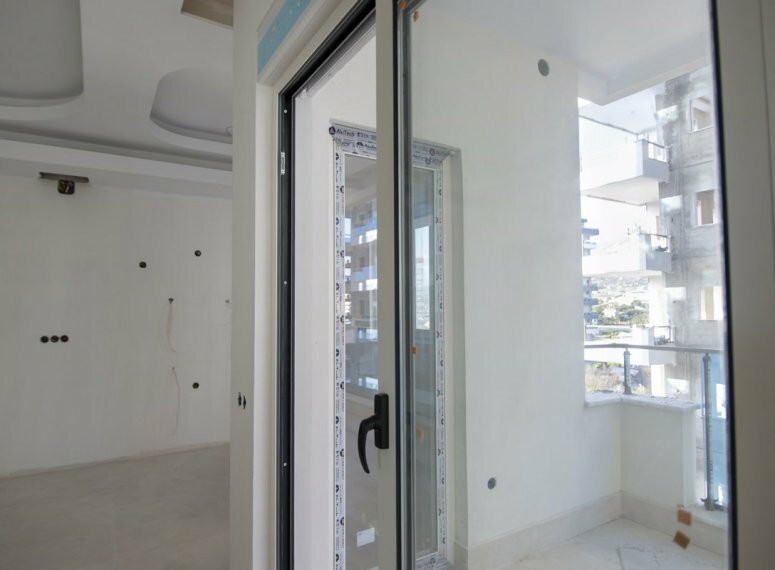 The units can enjoy sea views, mountain views and/or views to the common areas. 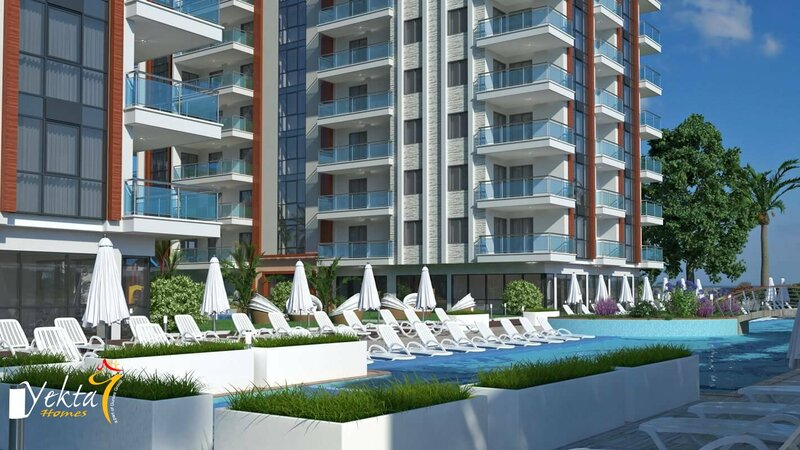 And when the sandy beach is just a 5-minute walk away, buyers can enjoy the sea at every opportunity. 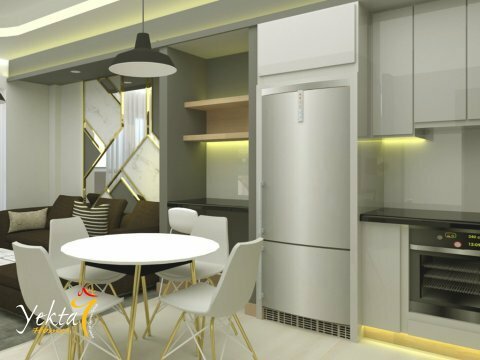 Functionality and design are balanced offering extensive living rooms with dining rooms and open plan kitchens built-in where the harmony of the rooms go for a family style in common. 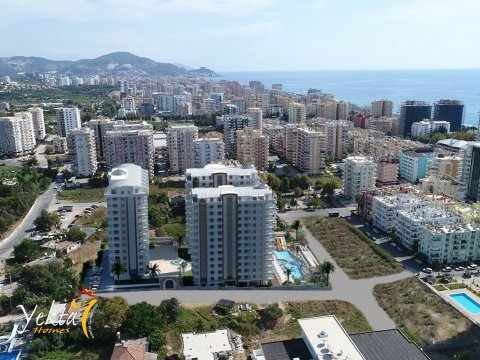 This exclusive permanent residence or holiday home, with excellent rental potential, is idyllically located in Mahmutlar, just 12 km from Alanya center and 25 km from Gazipasa. 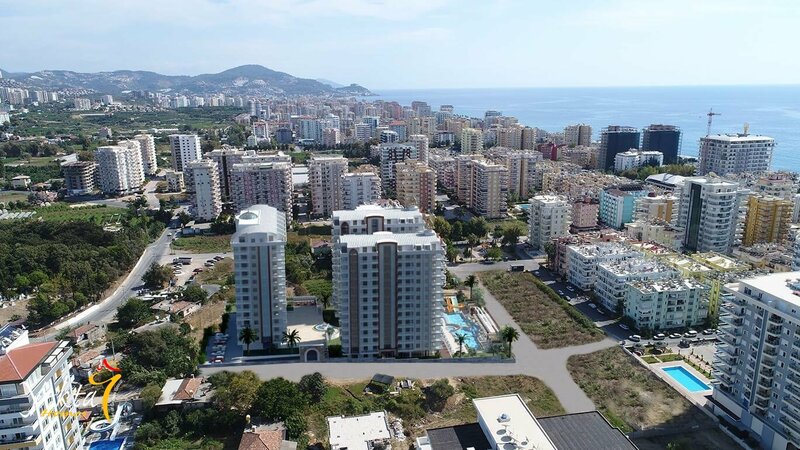 The many amenities of Mahmutlar – including restaurants, bars, supermarkets, banks, plus of course pristine beaches and a wide choice of water sports – are all virtually on the doorstep, while Alanya’s countless attractions are all within a short bus drive distance. 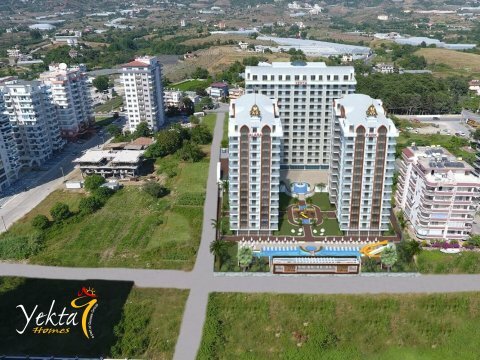 All licenses are in place and completion is scheduled for the end of December 2019. 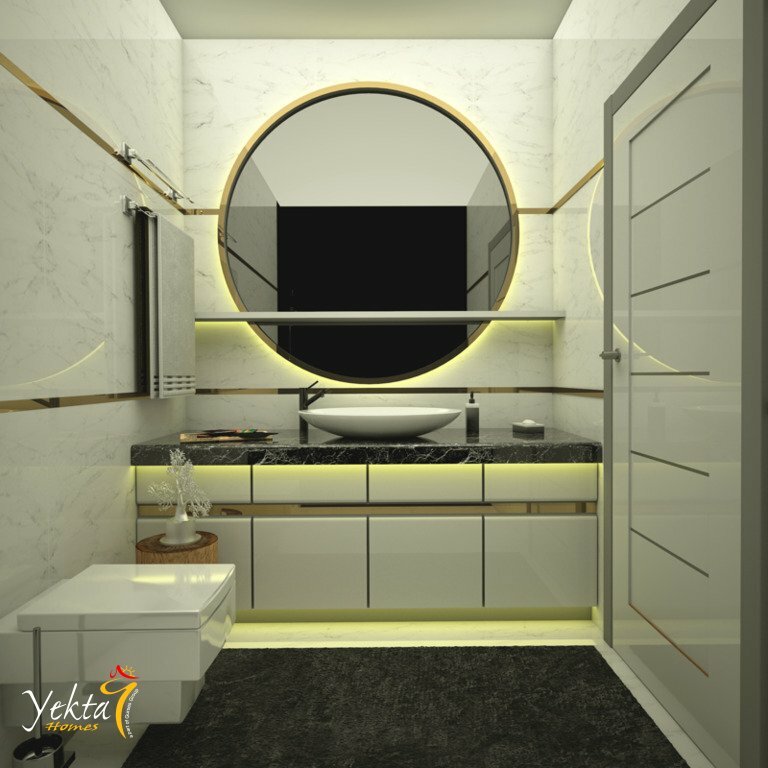 Explore without limits.Relax without restrictions.And reach new heights in uncommon luxury.This is the Turkish dream you can wake up to each day. 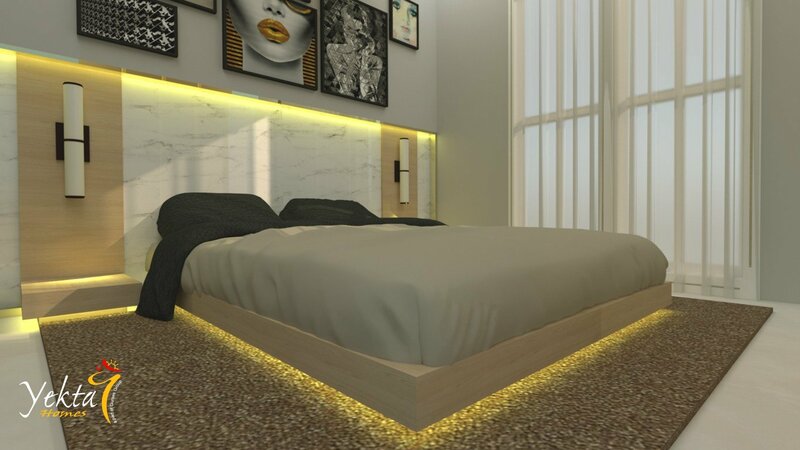 Floor and flooring Floors, 32 cm thick, are made of reinforced concrete. 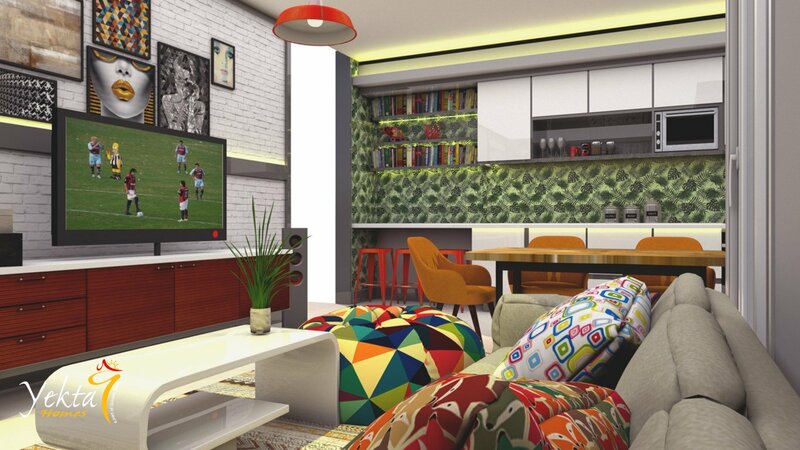 For flooring tiles used bright colors. 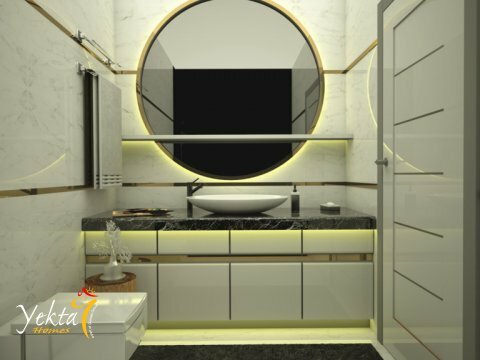 Top quality tiles will be selected from the catalogs of the leading companies in Turkey. 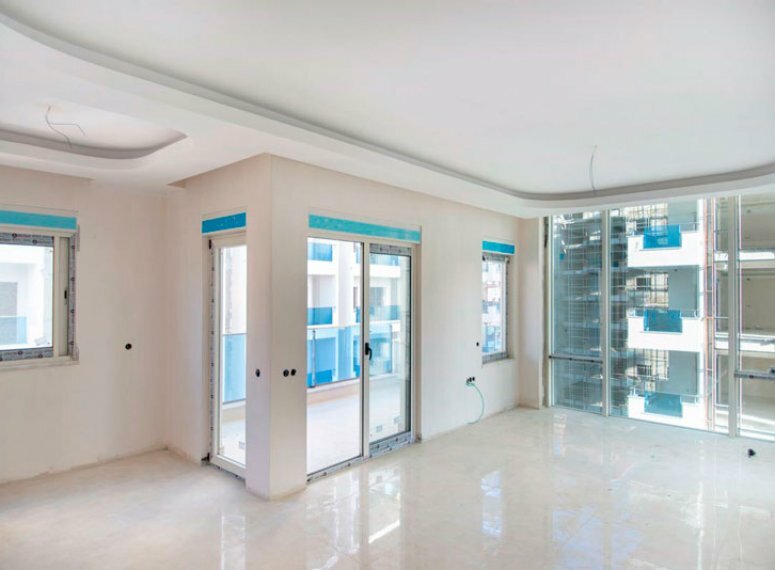 All communications are made of materials with a quality mark TSE, which means going through all the checks of the Institute of Turkish Quality. 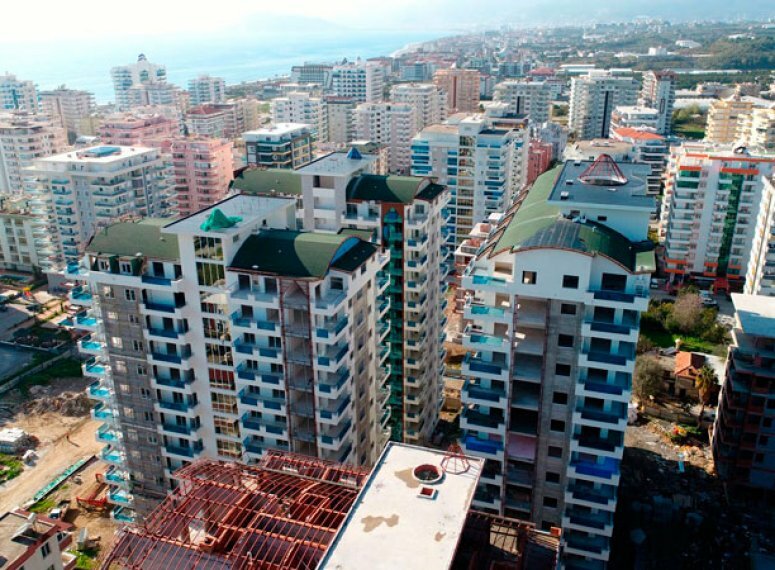 All rooms and balconies telephone lines and sockets for TV antennas.